THERESA May is probably one of the staunchest defenders of the Green Belt, that cherished icon of the post-war English planning regime. No doubt her enthusiasm owes much to the fact that she is the Member of Parliament for the green acres of Maidenhead, in the heart of the Thames Valley commuter area. But her zeal for preserving Maidenhead in aspic is mistaken. House prices continue to climb and her younger constituents find it difficult to rent anywhere, let alone buy. Our rigid planning controls in this country, giving pride of place to the Green Belt, have contributed to soaring home prices, higher rents and longer commutes. This is not only spirallingly expensive but damaging to the environment which Green Belt enthusiasts profess so loudly to protect. The Green Belt accounts for an astonishing 12.5 per cent of the entire area of England. That is one and a half times as much land as all our towns and cities put together. Yet a significant slice of it should be more accurately described as amber at best. Far too much is neglected scrubland which could be put to better use. The OECD reckons our planning controls have seriously hampered economic growth. It is entirely correct. We are building on most of the urban brownfield sites that are commercially viable. Besides building taller, or denser, which is already happening, the only option is to review the extent of the Green Belt. In practice, this is already happening. 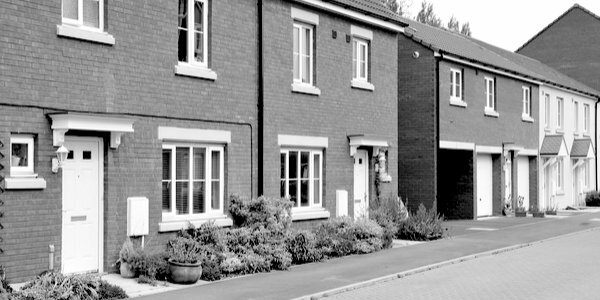 Local authorities are obliged under the National Planning Policy Framework (NPPF) to set out their plans for providing strategic housing land to meet identified demand. If they are unable to convince the Planning Inspectorate that they have made adequate provision – and many councils including Guilford, Harrogate and East Cheshire have failed to do so – developers have a freer rein to submit ambitious plans for new housing schemes. With no Local Plan adopted these are more likely to win approval. Accordingly, local authorities are beginning to redraw Green Belt boundaries with some, such as East Cheshire, prepared to swap existing low-grade Green Belt for newly designated conservation zones. In the last seven years the Green Belt has shrunk by just over 10,000 hectares. Last year ten councils adopted Local Plans, triggering a decrease of 5,070 hectares. This was the largest single-year fall in over a decade. In our new study Delivering More Homes, published by the Institute of Economic Affairs, we recommend a radical review of the Green Belt and call for a wide-ranging debate about our national strategy towards planning. Originally intended as a block on urban growth, our Green Belt policy has crippled our economic productivity and shackled labour mobility, leading to serious shortages in areas of high house prices. The multiple of house prices to earnings in Greater London is now an alarming 7.5 – way above the ratio seen 30 years ago. In effect we have a stopper, but no release valve. A much more targeted approach is required, identifying areas to be protected but also land which could be offered for vibrant new communities with social and physical support infrastructure. The first priority should be to release sites in the Green Belt near transport nodes. There is enough Green Belt land within the confines of Greater London – 32,500 hectares – to build 1.6million new homes at average densities. If only a tenth of this land were used for new housing that would represent 160,000 new houses – a significant response to the urgent housing crisis in our capital. The government should introduce legislation to enable the setting up of Special Purpose Vehicles (SPVs) as an appropriate delivery mechanism for new integrated and sustainable communities with a mix of housing types and tenures, for example, homes for sale, private rental, housing association accommodation and more specialised types such as sheltered accommodation for the elderly. We need to rediscover our traditional knack for creating stylish suburbs and neighbourhoods. Our Victorian and Edwardian forebears knew how to do so – witness Bedford Park in West London, Altrincham in Manchester and Edgbaston in Birmingham. Yet the last new town of any size built in Britain was Milton Keynes and that was started half a century ago. It’s high time we encouraged entrepreneurs with innovative ideas about designing and delivering beautiful new places where people will clamour to live. This is likely to involve modular construction and far more choice in design. For far too long we have put up with second best in this country. So let’s unshackle our architects and builders to create communities of which we can be justifiably proud. New build would then become an attractive addition to the landscape, no longer an ugly blot to be shunned and avoided.